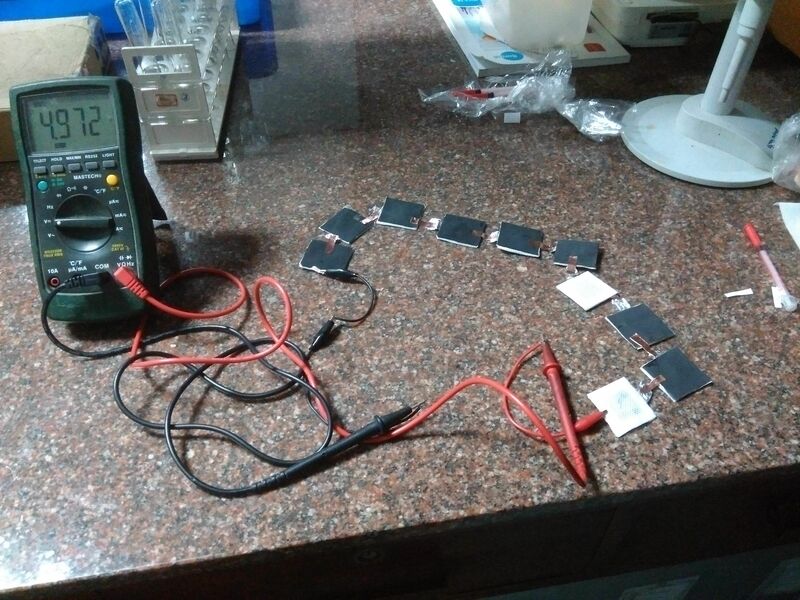 This IIT Kharagpur student made a battery using sewage water and it can charge anything! A student from IIT Kharagpur has developed a flexible and disposable battery powered by bacteria from sewage water. It is made using carbon-based conductive ink coated paper electrodes. The project was the brainchild of Ramya Veerubhotla, a PhD student in the Department of Biotechnology who won a cash prize of Rs.10,00,000. 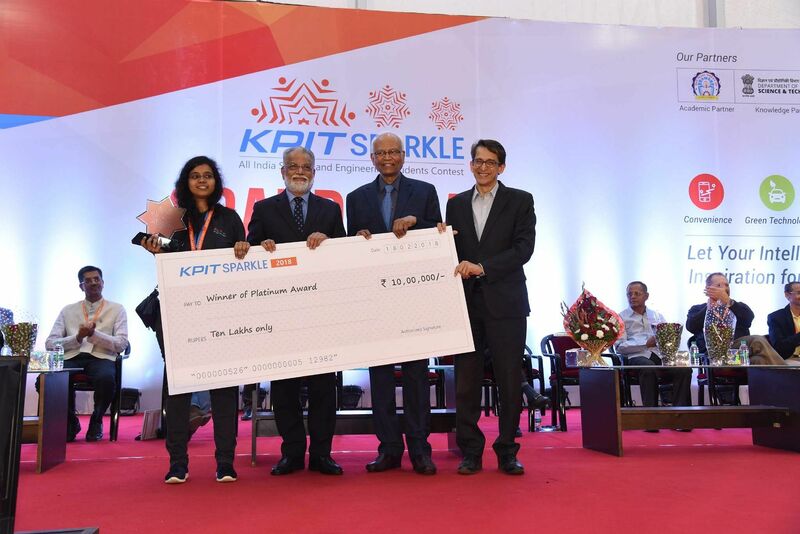 The team Electrodes bagged the Platinum award at the KPIT Sparkle —2018, an initiative which focuses on the promotion of innovation within and outside the organisation. Partnered with the Department of Science and Technology, Government of India, the competition invited students to develop next-generation technologies—applying artificial intelligence, new materials, and cybersecurity—to make products in the energy and transportation sectors greener, safer, and user-convenient. It received more than 12,000 registrations from more than 600 engineering and science colleges including 28 premier institutes like IITs and NIT (National Institutes of Technology) in the pre-qualification stage and shortlisted 30 out of more than 1,500 teams for the finals based on the novelty, affordability, and commercial viability of their proposed ideas. So what is the battery made up of? The biobattery is made using paper as the substrate. Hence, it is biodegradable, flexible and multiple devices can be stacked up together. And the electrodes are fabricated using a carbon-based conductive ink. Both paper and carbon-based ink are readily available low-cost materials and electrode preparation does not require any additional chemicals, binders or tedious deposition methods. "The device can be fabricated even by unskilled individuals using paper and ink alone.The findings show that simple conformal coating of a carbon-based ink can make the surface of the paper conductive due to the presence of amorphous carbon present in it," she said. To provide electrical conductivity to the paper-based cathode and anode, a carbon-based conductive ink was directly employed without any binder. With an instant start-up, the as-fabricated biocompatible electrodes could hold bacteria in an active form at the anode allowing chemical oxidation of organic fuel producing current. The facile process delineated here can be employed for the tailored electrode fabrication of various flexible energy harnessing devices. So, how can the device possibly benefit the Energy and Transportation sector? Currently, the power from the device is in the range of few microwatts. This device is environment-friendly and can be activated with any organic liquids such as urine. Stacking multiple devices can further boost the power and drive several practical applications. Hence, the device can function as a stand-alone power source in remote locations. "I believe that this concept can be extended for the development of bio-electric toilets in future. Further, it can be used to power certain microelectronic devices," says Ramya adding that she accidentally came up with the concept, "When I tested it, it gave very good results. But I took one and a half year to prove that the concept works. We did rigorous experiments in the lab to prove that eyeliner has carbon soot in it which is responsible for conductivity." Ramya developed the battery with the help of faculty of Mechanical engineering and Material Science, IIT Kharagpur. Currently, she is working on the improvement of the power generation from the paper device and developing biosensors.